Northumberland is a vast playground for cyclists, with hills and descents criss-crossing the ancient land. With such a rich landscape to explore, it can be difficult to pinpoint a particular route that’ll suit your ability level and sense of adventure, as getting lost could threaten an idyllic ride. Luckily, this blog post compiles a bevy of bicycling routes that are sure to leave you full of ideas for your next ride - no matter your skill or endurance levels. There’s so much to see along the picturesque and unspoilt Tyne Valley, with hills and pretty market towns such as Corbridge and Hexham dotted along the proud old river’s meandering curves - and seeing these sights on two wheels is highly recommended. This area of our fine county benefits from dedicated cycle paths in the form of Hadrian’s Cycleway - meaning that long stretches are traffic-free, leaving you to appreciate the beauty of the river while keeping an eye out for ancient fortifications left by Emperor Hadrian. However, in our eyes, the real beauty of cycling along the Tyne’s rural stretches is that you’re never too far from the Newcastle - Carlisle railway line, so riders of any ability can ride along rural stretches without worrying about cycling all the way home, as cyclists are welcome on the Northern Rail trains that run on this line - just make sure you’re not loading a bike on at busy times. 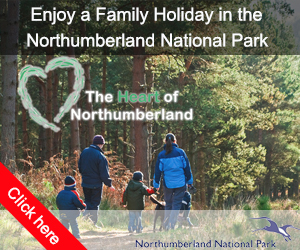 What better way to see the iconic castles and coves of Northumberland than by bike? The Coast & Castles route is well established and very popular amongst North East cycling aficionados. The route, between Newcastle and Berwick, takes in the sandy beaches of some of the country’s most wild coastline, as well as gorgeous harbour towns and villages such as Seahouses, Alnmouth and Craster - so you’ll never be short of places to stop for a freshly caught seafood lunch. As the name suggests, you’re spoilt for choice in terms of castles to explore. Dunstanburgh and Warkworth castles are both eerie ruins dating back to the 12th century, giving you a glimpse into this region’s wild feudal past. The intact Bamburgh Castle has a more stately pomp, with delicately manicured flower beds and an aristocratic air. All three are worth a stop, but arguably the most unmissable feature of this whole route is the Holy Island of Lindisfarne - the historic castle and important religious centre is located across a narrow tidal causeway, so make sure you time your visit correctly, or you risk being stuck on the island. Heading for the rugged landscape of the Northumberland National Park near to Kielder Forest and Reservoir is certainly a challenge, but one that can be rewarded with some unforgettable cycling experiences. This part of our fine county has pedigree amongst the pros - stage two of the 2017 Tour of Britain started from Kielder and wound its way across the county to Blyth. If mountain biking is more your thing, though, there are several trails all over the Kielder area that cater to families as well as more daring riders. There are some notable routes for road cyclists that go around the villages of Bellingham and Wark, taking in Chipchase and Haughton Castles - an easy day’s tour for all skill levels. Cycling through these villages up to the peaceful waters of Kielder is another quintessentially Northumbrian route that is very popular amongst the cycling community. 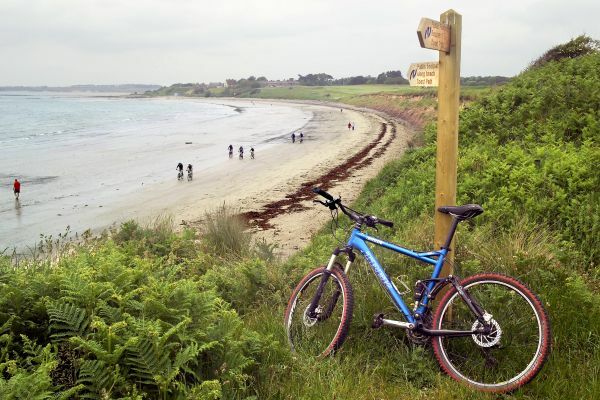 We hope this post has left you eager to plan your next Northumbrian cycling holiday - whether you love riverside cycling, coastal touring or heading for the hills, this historic county has you covered for hundreds of miles of two-wheeled joy. This blog was compiled by the cycling and outdoors experts at Start Fitness.